This is a male Trogloraptor photographed in the lab. 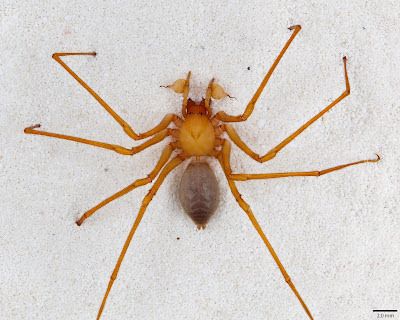 The spider family Trogloraptoridae is a new species of spider discovered in the old growth forests of southern Oregon. To date, it only comprises a single species; Trogloraptor Marchingtoni. The spider is named after amateur biologist, Neil Marchington, who helped in the discovery of the arachnid. Marchington is a Deschutes County deputy sheriff and led the team of scientists to caves where the Trogloraptor spiders were found. He is also an amateur biologist and local cave explorer. Neil is a member of the the Western Cave Conservancy. The trogloraptor has been observed to spin primitive webs that comprises only a few strands. They hang beneath those webs from the cool, damp ceilings of the caves. The forests of the coastal regions from California to British Columbia are renowned for their unique and ancient animals and plants, such as coast redwoods, tailed frogs, mountain beavers and the legendary Bigfoot (also known as Sasquatch). 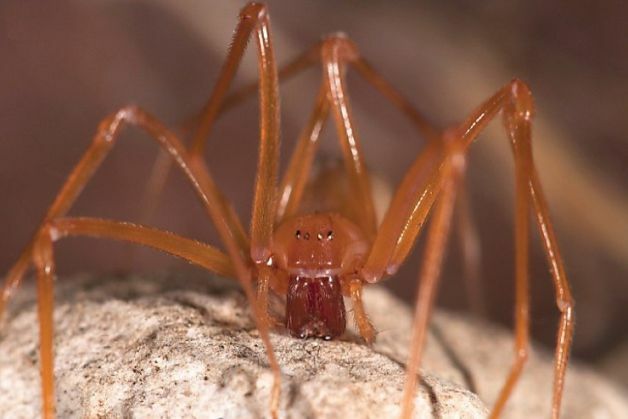 Whereas Bigfoot is probably just fiction, a huge, newly discovered spider is very real. Trogloraptor (or "cave robber") is named for its cave home and spectacular, elongate claws. It is a spider so evolutionarily special that it represents not only a new genus and species, but also a new family (Trogloraptoridae). Even for the species-rich insects and arachnids, to discover a new, previously unknown family is an historic moment. A study of the new family and its evolutionary and conservation significance was published in the open access journal Zookeys. Trogloraptor hangs beneath rudimentary webs on cave ceilings. It is about four centimeters wide when its legs are extended—larger than the size of a half-dollar coin. Their extraordinary, raptorial claws suggest that they are fierce, specialized predators, but their prey and attack behavior remain unknown.